This nature pearl dangling around your neck will remind you that a pearl’s beauty runs deeper than it’s history. The pearl may have a small blemish, a tiny bit of evidence that it's a genuine pearl! 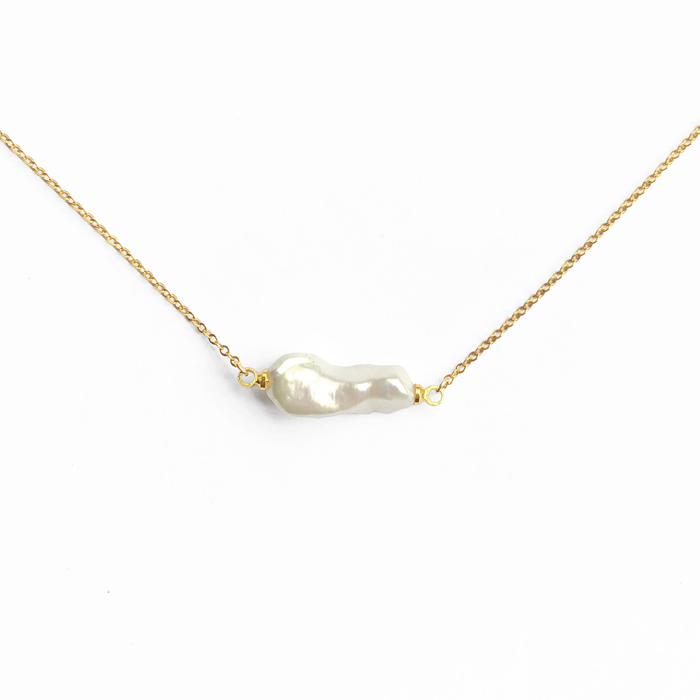 Each pearl will vary slightly in size, shape, and color. It is unique, just like you. 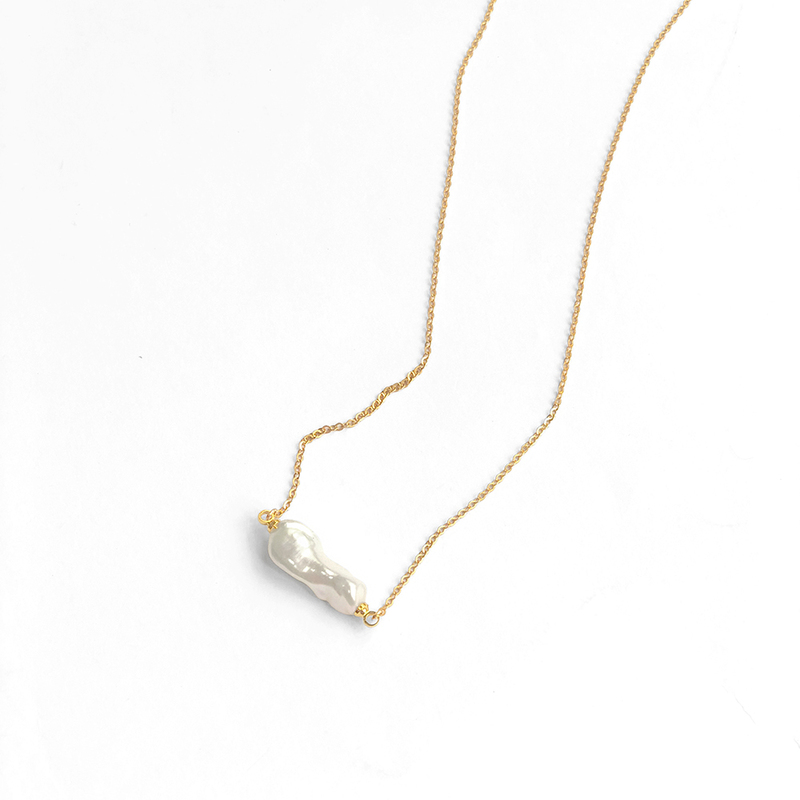 It's a wonderfully versatile necklace that can be worn casually or for a night out.